We’re passionate about ‘Green’ Hosting. Servers use a massive amount of energy and are our main source of carbon emission as a business. 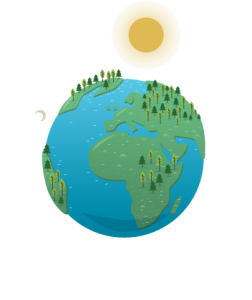 We have calculated our carbon footprint and have offset the emissions generated by the energy we use to run our servers. We will also continue to offset our emissions on an annual basis, making us fully 'carbon neutral' and one of the few truly ‘eco’ web hosting companies. We robustly pursue a policy of remote working to minimise commuting and the need for large, energy hungry office space, and now partner with the greenest datacentre in the UK. So, what does all this cost to you? Nothing. We have absorbed the cost of offsetting our emissions fully into the operating costs of the business, so you do not have to pay a single penny to feel good about your true 'green' hosting. This is important to us, and as one of the pioneers in green web hosting – we have been carbon neutral since 2006 – we are proud to continue to expand our work in this area. One of our offsetting partners is www.carbon-offsets.com and the project we have selected through them is a 3.6 megawatt wind farm based at Tamil Nadu in Southern India. The wind farm has six electricity generator units, providing local people with energy from a renewable source and replacing reliance on fossil fuels. It has brought social and economic benefits to the local community and stimulated rural development and infrastructure. New jobs have been generated and the project helps to address problems of long term fuel price and supply risk. The wind farm is a CER project, which means it has been developed and regulated through the UN Clean Development Mechanism, as established by the Kyoto Protocol. The UK government argues in favour of using CERs for voluntary offsetting and it is considered likely to become a regulatory standard for carbon offsetting companies. Nativespace's commitment to going green extends beyond our own company. We looked at the direction of the web hosting industry in 2006 and felt there and then that we needed to lead the turn in the tide towards eco-hosting. Additionally, we saw secondary benefits to promoting green values and environmentally friendly hosting through the web hosting community, with individual websites being able to promote a more eco-friendly consciousness through the web. We believe our focus on the environment isn’t simply a desirable thing to do, it is a necessary thing to do.